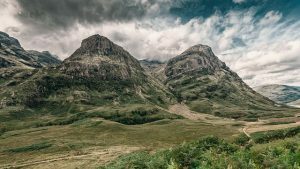 Enjoy seven days touring the Scottish Highlands. You’ll see ruins, lochs and of course, lift a dram or five at some of the best distilleries the Highlands have to offer. You’ll enjoy transportation, several in-depth guided tastings and a chance to see where you’re favorite Whiskys come from. We’ve even made sure you have time for a round or two of golf. Arrive Edinburgh and check into the hotel. Relax and settle in, or wander through the city’s historic streets. 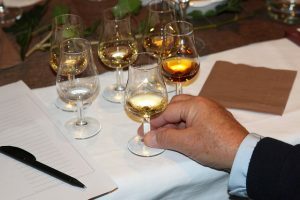 In the evening, we’ll meet for a welcome drink and the Bacchus Discovery Dinner where we’ll learn how to nose, taste and pair Scotch with food like a pro. Your second day is at your pleasure in Edinburgh. We suggest visiting the castle, or perhaps we could help you arrange a round of golf. Dinner tonight is at your leisure. 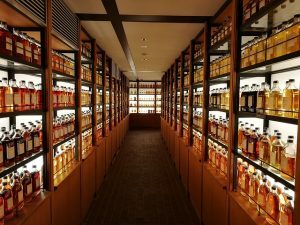 After breakfast, we’ll start our journey into Scotch by visiting the Scotch Whisky Experience where we’ll do a guided nosing of four different malts and get a detailed overview of the distillation and aging process. After our tour, we’ll have a relaxing lunch that pairs your favorite spirit with the finest fresh and local Scottish foods. After lunch, we’ll take a scenic drive up to Speyside, our home for the next several days. Along the way, we’ll stop at some ruins for a look around and a chance to stretch our legs. Dinner tonight will be at our hotel when we arrive in Elgin. We’ll be spending a few days up in Speyside because there’s so many places to taste. Our first day in the area, we’ll taste at two distillers and visit Speyside cooperage to learn about the craft of cask making. The Speyside cooperage still hand-produces casks in the traditional way and provides their casks to many world-renowned distilleries. The second day in Speyside, you’ll have the morning and early afternoon free to relax, wander around town, shop or explore the countryside. If the season’s right, we can arrange hunting, fishing or golfing excursions for those who are interested. In the afternoon, we’ll visit another distillery and continue our exploration of Speyside Scotch. The morning of the third day, we’ll visit one last Speyside producer after breakfast. Then it’s time to bid farewell to this corner of the country and head to Glasgow. We’ll stop along the way to explore some of the historic ruins and villages in the Highlands. Dinner in Glasgow will be at your leisure. We’ll spend today tasting some blended Whiskys produced right here in the city. After savoring the Speyside single malts, you’ll have the knowledge and palate to compare the subtle harmonies that blending allows distillers to create. You’ll have dinner at your convenience and the evening free to explore some of Glasgow’s hospitable nightlife. Our final day will be at your leisure. You can shop, pack or get in one last round of golf. We’ll be happy to arrange any excursions you wish to take. In the evening, we’ll meet for one last meal together, have another dram or two and sing Auld Lang Syne to a fantastic exploration of Scotch. In the morning, we’ll all depart for home, or if you wish to continue on with us, we’ll be visiting (next tour) and we’d love to have you. 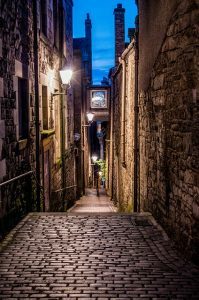 If you wish to spend a few more days in Scotland or extend your vacation with a visit to London or Dublin, let us know and we’ll take care of all the details.